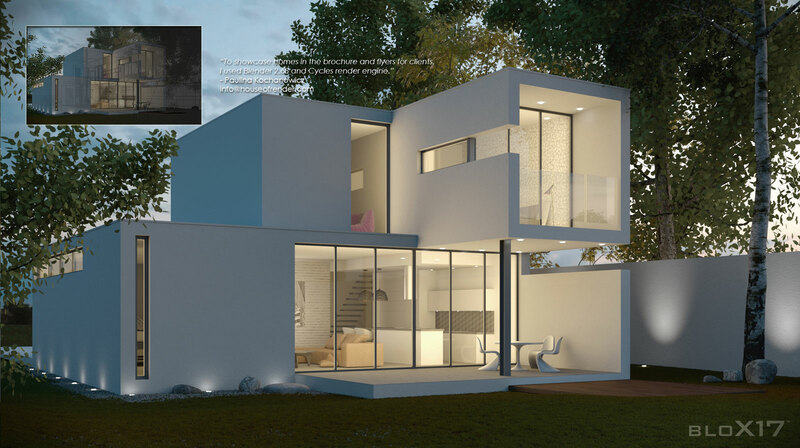 Good Arch Viz studios or artists are not common in the market as evident in their published works. Where can you find competent Arch Viz artists & studios? How good is Blender as an arch viz tool? You might find the answers in the arts and comments made by the following artists and studios, some of the many that are scheduled to be featured in this series. Seryjny Projektant is a design studio located in Warsaw / Poland and founded by Paulina Kochanowicz. We specialize in interior and architecture design. 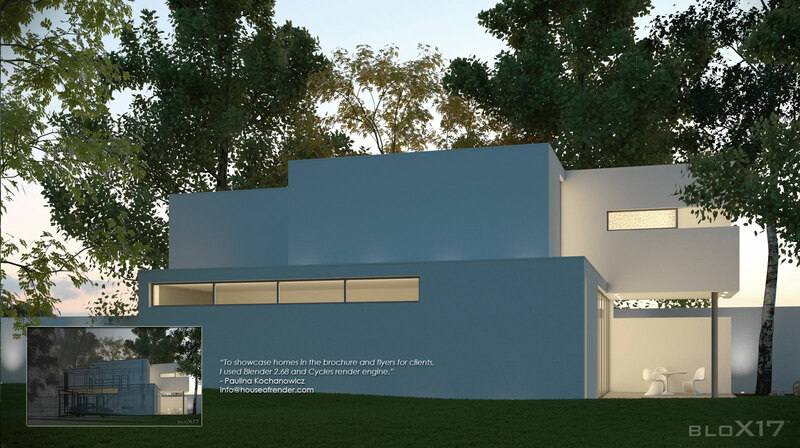 We also have a visualization studio House of Render, which we use for presentation of each project we make. 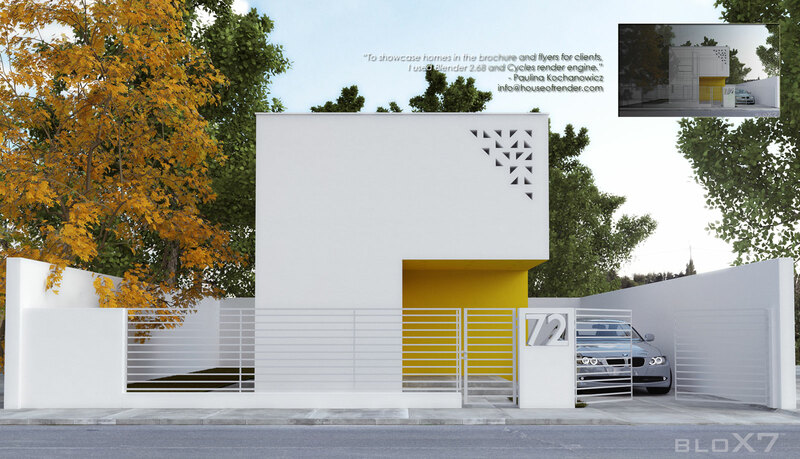 BloX House is a modular home based on a system of easily installed prefabricated blocks. You can decide how big you want your home and build it with the selected items. 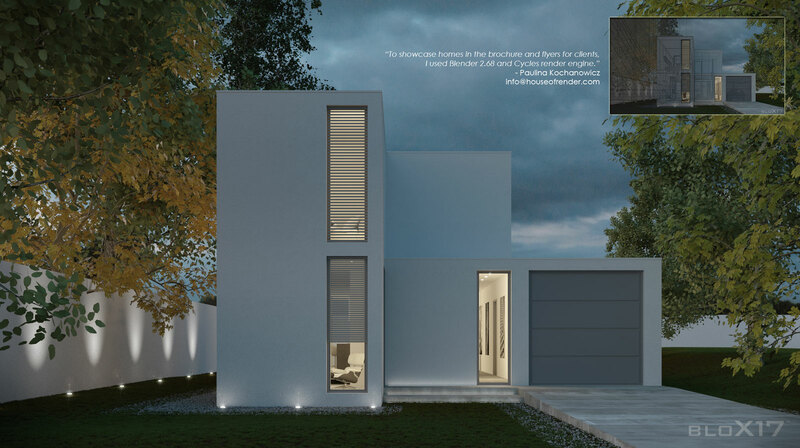 The system allows subsequent extension of the house with the selected elements. Creating a home with BloX house system is as simple as play with blocks. We designed whole system and we are implementing it at the moment. To showcase homes in the brochure and flyers for clients, I used Blender 2.68 and Cycles render engine.